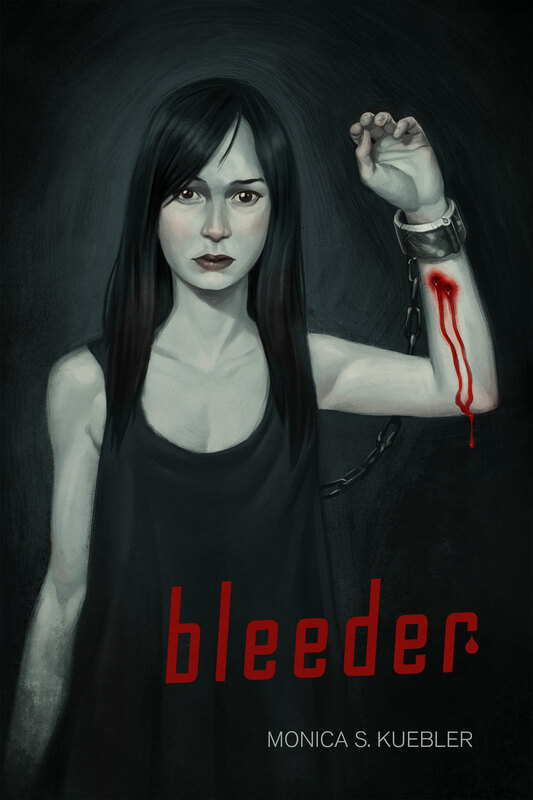 Dreadful Tales is proud to announce Bleeder, the new serial novel from incredibly talented – Monica S. Kuebler. You might know Monica as the Owner/Editor of Burning Effigy and Rue Morgue Magazine’s Managing Editor, but she’s also a spoken word artist, poet, and author. For those of you who aren’t familiar, we’ve lauded Kuebler’s work with Burning Effigy Press about a thousand times over. In our opinion, she’s got the best eye for horror fiction in the whole damned genre. Now it’s her time to shine, and we’re damned excited! You can keep an eye on the Bleeder website for updates every Sunday, or keep yourself locked in to Dreadful Tales – where we’ll be giving you an update when every installment of the novel goes live. See below for an exclusive, sneak-peek look at the amazing and haunting cover art, and blurb for the book. Make sure you get yourself into a comfy chair every sunday, and watch as this novel unfolds. The folks at Dreadful Tales can tell you this: We’ll be making a tradition of joining Monica and Mildred on their journey, and we hope you’ll join us. And goddamn, ain’t that cover somethin’ else? WOW!